Happy Halloween! 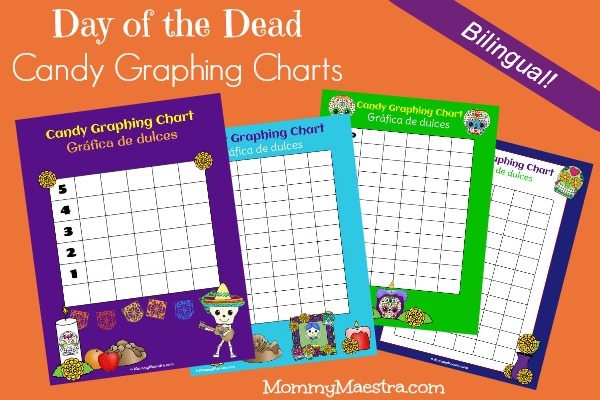 For those of you who celebrate both holidays, here are some bilingual, printable Candy Graphing Charts with a Día de los Muertos theme. A few years ago, I wrote about 5 educational things you can do with (Halloween) candy, so be sure to check that post out more ideas. Have fun tonight, be safe, and use that candy to expand their minds (not just their energy)!